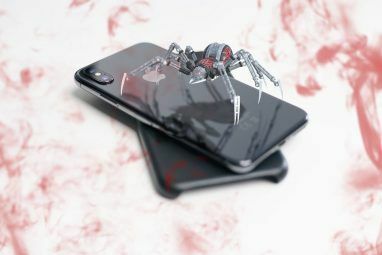 <firstimage=”//static.makeuseof.com/wp-content/uploads/2011/05/AntiSpyware08.png”> Most people in the western world have access to flatrate Internet connections, cheap data plans for mobile devices, and free WiFi hotspots at almost every corner, allowing them to be online wherever they go. While these amenities are convenient, the freedom they provide comes bundled with an increased risk of catching malware. A digital infection with viruses, trojans, spyware, or other malware can put your data integrity and your system stability at risk and has the potential to cause further damage, including data and identity theft. If you realize that your individual browsing and download habits put you at a high risk of catching malware, you should make an effort to be protected from these threats in real-time. 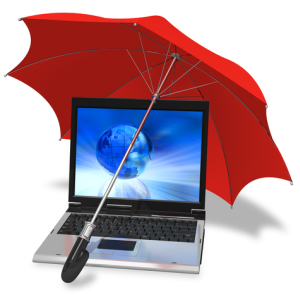 An anti-virus tool is essential for PC security, but it is not sufficient. Experts recommend a layered protection by using multiple tools and real-time malware scanners are one important layer you shouldn’t miss. 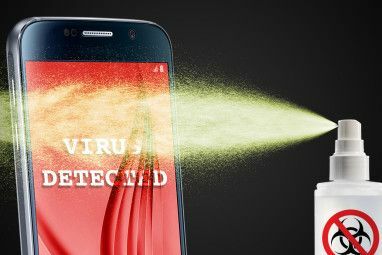 You can pick from one of the three free malware removal programs I will introduce in this article. ThreatFire is a malware detection and removal tool that works in real-time and provides a defense against zero-day attacks, i.e. novel malware attacks for which no virus definitions or signatures have been released yet. It works in cooperation with your existing anti-virus software. The setup is dead simple and fast! After a brief setup, ThreatFire checks your computer for existing firewall, anti-virus, and anti-spyware protection. In a final step it scans for threats. In my case, ThreatFire found that my setup was acceptable and no threats were detected. Installation and scan were completed in under 3 minutes and I was re-directed to a Quick Tutorial, explaining how the tool works. In this tutorial, ThreatFire addresses all common questions that you may have. Ad-Aware is an anti-virus and anti-spyware tool that offers malware protection, live ad-watch, and real-time protection against threats. Like all tools in this list, Ad-Aware works in cooperation with your existing anti-virus software. Compared to ThreatFire, the installation of Ad-Aware took considerably longer, mainly because Ad-Aware instantly started downloading and applying updates, which took several minutes. When the updates are completed, you are greeted by a screen that summarizes the current status for web update, system scan, and ad-watch. Via a button in the bottom left you can switch between simple and advanced mode. In advanced mode you can schedule scans and access other more complex settings. It is recommended to perform an initial full system scan. Later you can choose between a smart scan, which will check critical sections of your system only, or a full in-depth scan. I also recommend to head to the Ad-Watch tab (top right) and turn on real-time protection for files, registry, and network as desired. Spyware Terminator is a free spyware scanner and removal tool with real-time protection and an optional integrated anti-virus tool. Unlike its competitors, Spyware Terminator offers no paid alternative, meaning the entire suite, including personal use, commercial use, and software support, is completely free. The tool installs via a standard installation process. Note that Spyware Terminator attempts to add a Net Security Toolbar during installation, which you can of course choose not to install. After the installation is completed, the setup assistant launches and you can define how you want to use the program. I selected the spyware protection without ClamAV and with advanced protection level. You can change these settings later via the Spyware Termination Center. The Spyware Terminator Center reveals the full complexity of this tool. Here you can adjust scan schedules and control further advanced settings. ThreatFire offers a very easy and straight forward setup and is suitable for the average user. Experienced users will feel more comfortable with Ad-Aware or Spyware Terminator. Ad-Aware was one of the first tools to offer malware protection that went beyond simple virus scans. While it offers an easy setup and a clear interface, which is suitable for both inexperienced and advanced users, Spyware Terminator clearly beats Ad-Aware Free when it comes to advanced options and features. How do you protect your computer from malware and other threats? 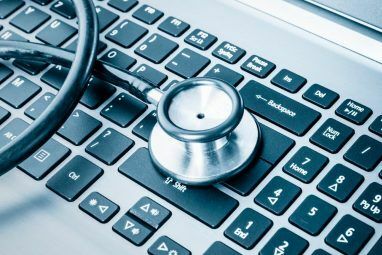 Have you ever experienced a serious malware infection and if so, do you know where you caught it? Please share your experiences in the comments! Explore more about: Anti-Malware, Trojan Horse. I use Spybot and MalwareBytes AntiMalware along with WinPatrol and so far they've been a great combination! These are good to know about in case I need something more than them. Thanks for the article! Are you talking about Web Security Guard for Internet Explorer? I've tried all of the above mentioned programs along with numerous others, but I haven't found them to be effective in any way (except adding to boot times and using memory). Wondering about surfing habits if users are getting so many infections. Just use Buffer Zone or Comodo Sandbox or . . . I concur, surfing habits are key in catching infections. Spyware terminator is the only one that has realtime protection. it's not a security suite, just an antispyware app with some bonus security features. Ad-Aware is an antivirus/antispyware product. The antivirus engine is from VIPRE. Threatfire has essentially stopped being supported by PC Tools. And SpywareTerminator is a questionable product at best. To say the least, it has a pretty bad history. Probably better suggestions would have been SpyShelter, a firewall with a solid HIPS component, such as Online Armor or Private Firewall, or even a beta product such as Spybot Search and Destroy 2. Thanks for the input, Joe. The KeyLogger of SpyShelter looks useful. However, this post was not about anti-logger software or firewalls. They key of this artilce was real-time malware protection, which should be run in addition to other security software. I agree that a firewall is essential. Those 3 are one of my favourite tools of troubleshooting, Asqaure, malware antibytes and super anti spyware is also one of the top. I would use 10 tools for overkill. I looked at SuperAntiSpyware, however, the free edition does not include real-time blocking or scheduling. I have never heard of Asqaure or Asquare. And do you mean Malwarebytes? I'm interested in knowing a) If I would need one of these in addition to or instead of Malwarebytes' Anti-Malware, and b) If any of them slows down the computer (Windows XP) worse than the others. if you are running Malwarebytes you don't necessarily need any of these in addition to the above. You could get them in addition or instead if you were interested in real time protection. I've been running Ad-Aware and didn't notice a drastic decrease in computer performance. The reason I went with Ad-Aware is because of the three above, I found it most comfortable to use and overall least annoying. Your experience may differ, though. I didn't notice a considerable dint in performance with any of them, but I'm running Windows 7 with 3.6 GB RAM, so that is a difference I likely missed. Unfortunately, I didn't test either of them for performance impact. Thank you - I think I'll try the Ad-Aware. I like comfortable and non-annoying! Keep up the great and oh, so helpful work! MBAM offers real time protection, however that feature is not in the free version. SpyBot has a TeaTimer resident app, that is doing the job just fine. Both coupled, offer great protection.